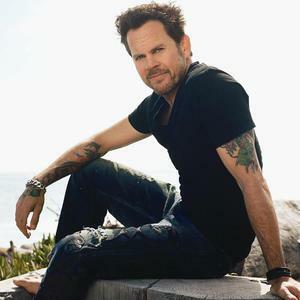 Gary Allan Herzberg (born December 5, 1967) is an American country music artist, known professionally as Gary Allan. Allan was born and raised in La Mirada, California, to Harley and Mary Herzberg. To ensure that the family would focus on music, Allan's mother insisted that the family's guitars would always remain visible in the home. At age thirteen, Allan began playing in honky tonks with his father. Allan was born and raised in La Mirada, California, to Harley and Mary Herzberg. To ensure that the family would focus on music, Allan's mother insisted that the family's guitars would always remain visible in the home. At age thirteen, Allan began playing in honky tonks with his father. Two years later, he was offered his first recording contract, from A&M Records, but rejected the deal. His parents wanted him to finish his education and his father felt that Allan had yet to develop his own distinctive style. Despite his commitment to finishing school, Allan reflects that he was rarely alert in class. "I played the bars at night, I was half asleep when I got to school. I thought sleep was what you did when you got to school." After finishing school, he continued to play in the bars with his band, the Honky Tonk Wranglers. Many of the venues they played were packed, and promoters often tried to move them to larger clubs. The moves would have required him to stop playing some of the older country music, such as covers of George Jones songs, so Allan refused. Allan was introduced to songwriter/producer Byron Hill on August 28, 1993 by a mutual friend and talent-scout Jim seal at a bar called the Lion D'or in Downey, California, where Allan was already regularly performing. Seal and Hill had asked Allan if they could showcase an unsigned act that they were developing there. Hill had arranged to bring the head of A&R from a major label to the show to see this other act perform. Allan kindly let them use his stage for the event, giving the new act the opening performance slot that night. Hill promised Gary that they would make sure the A&R person remained there to see his portion of the show. Everyone was knocked out with Allan's performance, and very impressed with his voice. From that point on, Hill began sending Allan songs. Without any serious funding at the time, Hill arranged for Allan to go into Seal's small studio in California to try his vocals on some of existing demo tracks that Hill had sent to Allan from Nashville, Tennessee. Meanwhile, Hill became head of A&R at BNA Entertainment on October 29 of that same year and immediately wanted to sign Allan to BNA, but the then current roster conditions and other circumstances related to the planned restructuring of RCA/BNA Nashville stood in the way. In the meantime, Allan took a job selling cars. He left a demo tape in the glove box of a car purchased by a wealthy couple. When the couple discovered that he was the singer, they wrote him a check for $12,000. This independent funding allowed Allan to go to Nashville to record some of the songs that were on that early demo tape with Hill as producer. On September 11, 1995, they worked at Javelina Studios for a couple of days on the four songs that Hill immediately showed to labels. Allan's recordings brought serious responses from several labels including Mercury, rca, and Decca. A meeting was then held at a Nashville hotel among Hill, Allan, and friend of Allan's, who was a program director for a radio station in California, to arrange two showcases in Los Angeles, California, to put Allan on stage at two of the radio station's regular nights at a local club. Byron arranged for staffers at the Nashville office of Decca Records to attend the first showcase held on November 1, 1995. Decca immediately wanted to sign Allan, and knowing that Byron was lining up other labels to see Gary, Decca asked them to cancel the second showcase. A rep from rca was already booked to see the second showcase the following week, but the "bird-in-hand" deal offer was too tempting for both Hill and Allan, so they committed to the Decca offer. His first deal, with Decca Records Nashville, produced the 1996 album Used Heart For Sale. The album was named "Best of the Month" by Stereo Review. It advanced to the top 20 of the charts, and produced a Top 10 country hit with the track Her Man (previously recorded by Waylon Jennings). Other tracks from the album, however, proved less successful. His second album, It Would Be You, was released in 1998. Although Allan had been writing songs since he was a teenager, he does not hesitate to bump his work from his albums in favor of those written by other songwriters he respects. For his second album, Allan replaced one of his songs with No Judgement Day, written by Allen Shamblin. Although the song was a hidden acoustic track, radio stations began giving it heavy airplay. The song tells the story of a shopkeeper in Texas, whose children killed him in search of money. The title track of the album became Allan's second top 10 hit of the year, remaining in the top 10 after 21 weeks of radio play, "way beyond the tenure of most disposable radio hits." At the beginning of 1999, Decca Records folded, and when Allan moved to the parent label, Mca Nashville, It Would Be You was left in limbo. In 1999, Allan released Smoke Rings In The Dark, an album he recorded while in the midst of a divorce from his second wife, Versace model Danette Day, after only seven months of marriage. Unlike his first two albums, Smoke Rings In The Dark made fuller use of background singers and stringed instruments, "resulting in a lusher, fuller sound." The new album avoided the "devil-may-care brashness" of the first two, instead presenting a tone balanced between youthful optimism and "the knowledge that some of life's experiences exact a high toll." Smoke Rings In The Dark was certified platinum, and it included two successful singles. In 2001 the album Alright Guy was released. It contained the singles The One, Man Of Me, and Man to Man, the latter of which became his first Billboard No. 1 hit. The same year, Allan married for the third time, to Angela, a flight attendant he met on an airplane. Despite his previous success and eight years in the music business, Allan was nominated for the Country Music Association's Horizon Award, typically given to newcomers, in 2003. The same year he released his fifth album, See If I Care. Allan had to fight to keep the title, which he felt epitomized his attitude towards the music business, that he would continue to make the music that he wanted to make regardless of whether the record label chose to back him or people chose to buy the album. See If I Care included his second and third Number One singles, Tough Little Boys and Nothing On But The Radio. Songs About Rain was a top 15 hit. In 2003, Allan and his wife, Angela Herzberg, moved to Tennessee from California. On October 25, 2004, Angela Herzberg committed suicide after suffering from depression and migraines. Allan initially put his career on hold, but soon turned to music to deal with the loss of his wife. This resulted in 2005's "heart-wrenchingly personal album," Tough All Over. He included several songs which he wrote or cowrote, including Puttin' Memories Away and I Just Got Back From Hell, which dealt directly with his grief. Several years later, Gary discussed his wife's suicide on The Oprah Winfrey Show. Tough All Over sold over 99,000 copies in its first week, debuting at No. 3 on the Billboard 200 and No. 1 on the magazine's Top Country Albums chart. It was subsequently certified gold by the RIAA as of December 20, 2006, and contained the top 10 singles Best I Ever Had (written by Vertical Horizon's Matt Scannell) and Life Ain't Always Beautiful, co-written by country singer Cyndi Thomson (under the name Cyndi Goodman). Allan's first Greatest Hits collection was released on March 6, 2007. A Number One album on the Billboard Top Country Albums charts, the album reprised the greatest hits from his first six albums, as well as two new songs. One of these, titled A Feelin' Like That, was co-written by David Lee Murphy and Ira Dean (the latter a former member of Trick Pony); the single peaked at #12 on the country singles charts. Allan's album titled Living Hard, was released on October 23, 2007. Serving as its lead-off single was the song Watching Airplanes, which spent more than thirty weeks on the country charts, where it reached a peak of #2 and went #1 on the Mediabase Chart. The song's music video was filmed during live concerts, including one at the Red Rocks Amphitheatre in Morrison, Colorado. Second single Learning How To Bend ? co-written by Allan ? quickly became another hit song, peaking at #13. The video was filmed during a live performance at the House of Blues in Atlantic City, New Jersey. Following this song is third single She's So California, which Allan co-wrote with Jaime Hanna (of Hanna-McEuen) and Jon Randall, and it peaked at #24, becoming his first single to miss the top 20 since Lovin' You Against My Will in 2000. Today was released on June 12, 2009, serving as the lead-off single to Allan's studio album, Get Off On The Pain, which was released on March 9, 2010. Title track, Get Off On The Pain, was the album's second single. It debuted at #42 on the U.S. Billboard Hot Country Songs chart, the highest-debuting single of his career. Kiss Me When I'm Down the album's third single released to radio in 2010. It debuted at #52 on the U.S. Billboard Hot Country Songs chart.